Notes: I read a lot of horror in the '80s. I mean a lot. 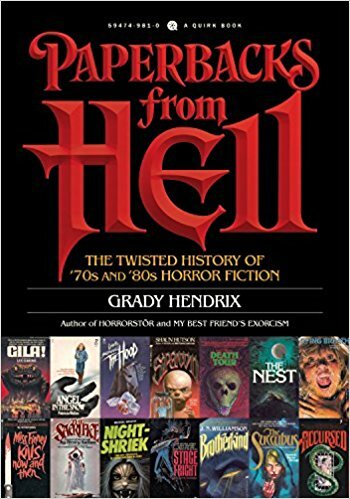 So what could be more fun than taking a trip down memory lane by looking at the history of horror literature of the 1970s and '80s? Much of that literature was simply awful, but there was also much that was good. I look forward to this read. Mini review: This was a fun read. The true horror fan who is well read in the genre will not find much new here, but they will likely discover some books or authors with which they are unfamiliar. This is not a concordance or an encyclopedia, more of a collection of reminiscences and book covers. Surprisingly, Stephen King is barely mentioned. 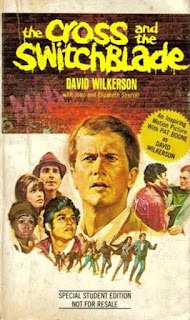 Maybe the author felt King didn't need the shout out, or maybe felt King's career had gone too far beyond horror, but there's little doubt King had a huge influence upon the genre, helping to kick off its popularity in the 1970s. Casual readers of horror, or younger readers looking for older material, will find much here to learn about. Notes: It's time to get back to some fiction, so I thought I'd try this novel about H.G. Wells in a time travel investigation. Mini review: This book is well written, and well translated, which is no mean feat. This is really three novels in one, with H.G. Wells not always as the main character but always at least an important character to each tale. 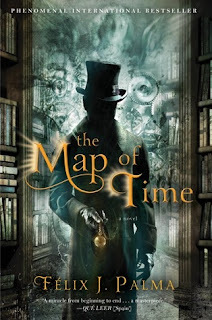 The novel plays with notions of time travel, sometimes presenting the possibilities as real and other times as not, jumping back and forth until a final conclusion, one which I will not reveal as it would ruin the story for anyone reading this. The writing here is a bit flowery, but it's by no means a difficult read. There were a few things which threw me off, but they were not enough to ruin the book for me. Such as, at one point it seems the author is including every single famous person from late 19th Century Britain, and while this isn't literally true, the story can feel that way sometimes, as if name dropping for the sake of name dropping. The thing that annoyed me the most about this novel was that the reader would follow a character along for a hundred pages or more, and then they would practically disappear from the rest of the book just as one is truly becoming interested in the character. This book is apparently the first of a series, so I might be tempted to find the others. I will point out the last 50 pages take a slight turn from the rest of the book, becoming somewhat philosophical and metaphysical, especially during the last 10 pages, and I did not quite feel it fit the tone of the rest of the book. Mini review: Not for those easily creeped out or who can't stand the morbid, though the author doesn't get overly gory. 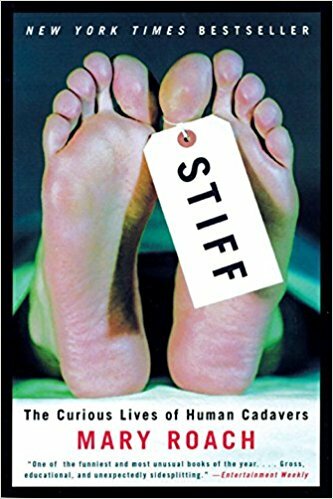 Most of this book is about unusual things that happen, or can happen, or you can have happen, to your body after you're deceased. Scientific research is an obvious choice for use of cadavers, but what exactly does that mean? Some of the answers might be surprising, and the author also takes a brief look at cannibalism and other fates that have faced the deceased over the centuries. An interesting book, and I can recommend it, but it's not for the faint of heart. 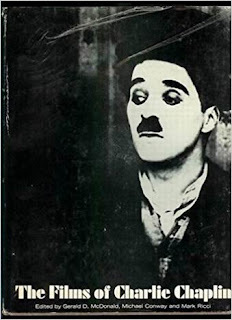 Notes: Published in 1965, this book would have been outdated nearly as soon as it came out because Chaplin was still alive and still had one more film in him, though he would only act as director and not appear on the screen. However, this trio of editor-authors would work together on similar books for the next several decades, releasing what would basically be updated versions of this particular book. Though I don't view such films so often nowadays, there was a time when I was quite the silent movie buff and watched plenty of these golden pieces of cinema history, and I read a number of books pertaining to the subject, including a biography and autobiography of Chaplin. It's been a long while since I've dipped back into this world, so when I ran across this book in a used book store, I snagged it up. Mini review: This was a fun trip down memory lane for me, bringing back beloved memories of a comedic genius at his heights. Chaplin's later works, those after the sound era began, are not often recalled as fondly as his earlier films, but his genius is always recognized. The majority of movies here I have seen, though there were a few I had not, and it was interesting to read about those. Each film received here a short write-up of its synopsis, a list of the cast, several still photos, and a handful of reviews from the period. Glad I read it. Notes: I was gifted this book a couple of years ago, so figured it was time I read it. I expect it to have an evangelical bent, though myself I'm usually more interested in historical and/or spiritual studies, but here goes. Maybe I'll learn some things. Mini review: Not the most exciting of reads, but it's not necessarily meant to be. 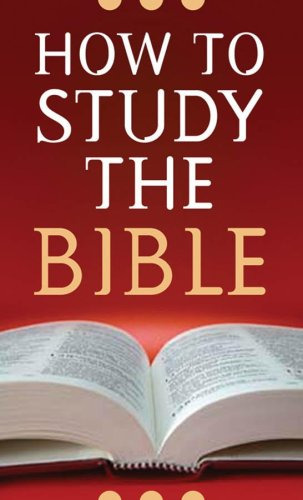 Still, this is a basic but solid beginner's book for those who wish to take part in personal Bible study. The leaning here is definitely towards the protestant and the evangelical, definitely not the historical or otherwise. 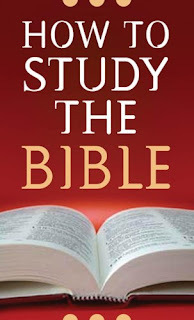 New Christians especially might find this book of help. Notes: When I was a kid in the 1970s, I had a comic book version of this book, the true-life story of a pastor who went to New York City in the 1950s to help street gangs. I had forgotten about the comic book until I ran across this old book in a used book store, and then I thought it might be interesting to read the book, which was also made into a movie. Mini review: The writing here is pretty good for someone who is a non-professional writer, though it takes a couple of dozen pages to reach a solid flow. The story is interesting enough, but as can be expected is full of the coincidences the author promptly places as the workings of God. It does seem, at least from these writings, that the eventual creation of a teen center in NYC did do some help for young people facing homelessness and drug addiction. However, as the author was a Pentecostal preacher, eventually there comes up talking in tongues and the like, which personally draws my skepticism (and I come from a family with Pentecostals). Silly? Truth? I'll let others form their own opinions. For me, my guess would be there's a mixture of truth, that perhaps God did touch the lives of the people involved with this story, or perhaps not. Either way, at least some people seemingly had their hearts in the right place and others were helped. 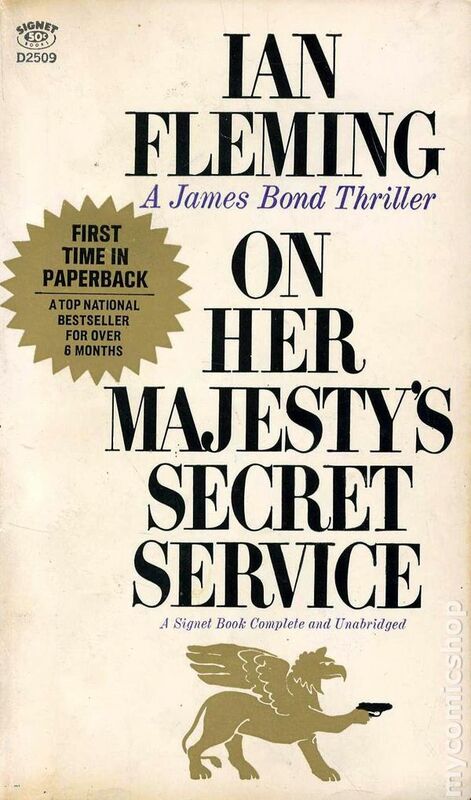 Notes: A recent Bond book left a bad taste in my mouth, but because I'd read Fleming before and enjoyed his work, I thought I'd give him another shot at winning me over again. Mini review: Bond is sent into the Swiss Alps in search of an old foe and finds a new plot hatching. 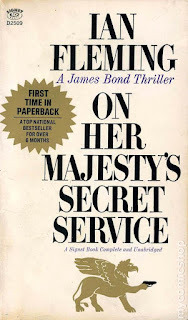 I did enjoy this one more than the last Bond novel I read, but not enough to want me to read more Fleming any time soon. This must be the saddest ending ever for a Bond novel, I would think, and one that hits home for the protagonist more than most of his other adventures.